**Not Certified Kosher for Passover. Contains Rice. 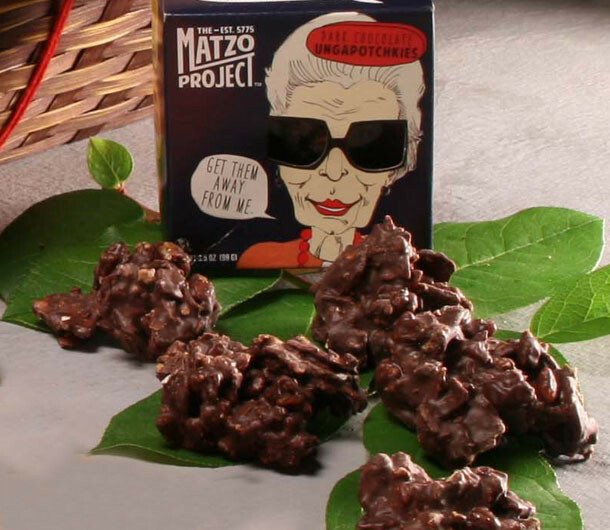 Chocolate coconut, toffee, matzo Ungapotchkies from the Matzo Project. Summer Camp friends Ashley Albert and Kevin Rodriguez want to "make something that people wouldn't compare to cardboard. What we got was... Surprisingly Delicious Matzo." - And we can definitely attest to that!